Sweden, in its formal manner is also called as the Kingdom of Sweden. It is basically located on the Scandinavian Peninsula which is in the Northern part of Europe. 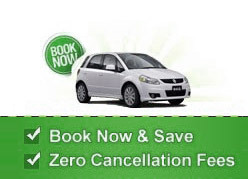 The car rental deal in Sweden is easy to book as we have association with the top rental suppliers in the country. You can also choose from various pick up locations such as the the Gallivare Airport, the Byholma Airbase, the Morup Airport, the Gagnef Airport, the Ornskoldsvik Airport, Anderstorp Airport, Bjorkvik Airbase, the Vilhelmina Airport, the Malmo Sturup Airport, Brattforsheden Airport and the Stockholm-Arlanda Airport. You can enjoy the view of lushy glaciers, oak forests, alpine vegetation and the beautiful lake of Stockholm in Sweden. Sweden is mainly a Nordic country which has many things to explore. You can use the car rental service in Sweden and visit the main cities of Sweden like the Stockholm, Gothenburg, Malmo, Uppsala, Linkoping, Helsingborg, Jonkoping and the Norrkoping. The other attractions that are a must to visit in the city include the Vasamuseet, Lilla Torg garden, the Southern Goteborg Archipelago, famous Botanical Gardens, the Milles garden and the Skara Cathedral. Sweden is famous for its small towns having a mind blowing sceneric views, snow kept plains, small villages; clear water Islands and the red cottages. The Lund cathedral is also one of the famous destinations to explore in Germany. Find exclusive fleet of rental cars in Sweden ranging from the small economical cars to high-end luxury cars.